This C. japonica chance seedling first bloomed in 1965. 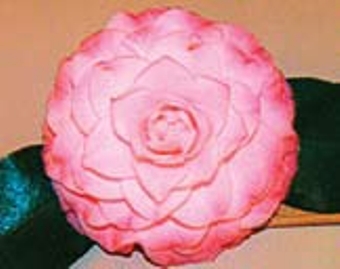 The 2.75 x 1.25" pink shading to darker pink formal double flower has 100 petals, consistent form and is long lasting. Upright with vigorous growth rate. Dark green leaves, 3.5 x 1.5".